Emerging trends, as well as changes in commodity prices and the financial environment, can directly impact the growth plans for c-store operators. To help you keep a finger on the pulse of the industry, we compile statistics related to those dimensions on a quarterly basis. Download now and find out what impacted the industry in Q4 and what operators can expect in 2018. 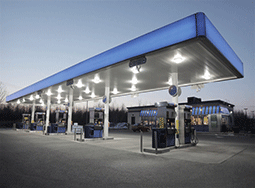 The c-store industry had a record breaking year in 2015 – and is forecast for another in 2016. As a result, operators have more cash on hand than ever before, but deciding what to do with it can be a challenge. Download now and find out what to do, and what not to do, with your increased cash reserves. The maturing Millennial Generation has different attitudes and behaviors especially within the realm of foodservice. Their increasing influence and spending power signals an opportunity for c-store owners to reimagine their foodservice offerings to better cater to Millennials in order to increase market share and their bottom line. Read our Perspective to learn how c-store operators can best take advantage of a new generation’s shift in tastes. As the Fed raises rates, c-store operators can expect their variable rate loans to cost them more. However, by utilizing interest rate swaps, a c-store operator can still obtain peace of mind by obtaining a fixed rate. And If rates continue to rise as expected, they can save thousands. The increased demands of daily life have made one-stop shopping a consumer imperative. Combining ease, product diversity and location centrality, the convenience and retail fuel space has attracted significant investor attention and seen consolidation among both strategic and private equity buyers. Download now to explore approaches for success in the shifting convenience and retail fuel market.